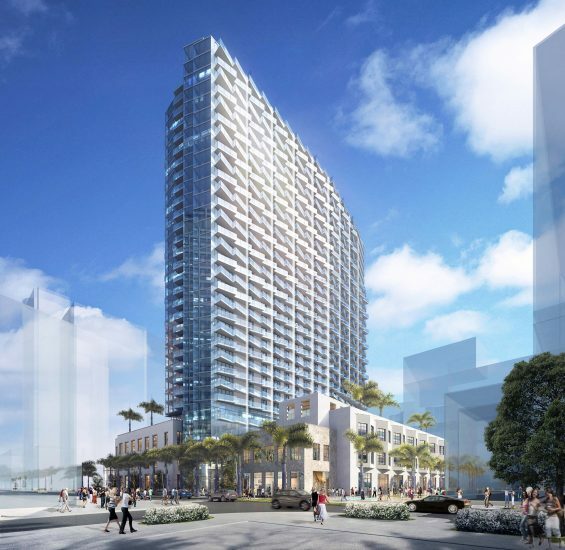 Now under construction in Miami’s Midtown neighborhood, Midtown Six will soar 31 stories and contain 447 studio, one, two and three bedroom luxury rental residences. This mixed-use development will also feature 38,000 square feet of retail and commercial office space. Residents will enjoy approximately 74,000 square feet of indoor and outdoor amenity spaces on multiple levels including an expansive pool deck, fitness areas, game room, lounges, kitchens and bars, private work stations, dog grooming and a 24-hour attended lobby.